Starters or boosters with micro elements for spring application. Effective micro fertilisers for quick problem fixing. Flex Fertilizer System is a series of liquid fertilisers, formulated using complex chemistry to suit the specific needs of the crop, optimising both nutrient availability and application, to make life easier for both the crop and the farmer. We have 30 years of experience in formulating fertilisers, and all recipes are developed in house. Both BASIS and FOLIAR types can be formulated with relevant micros included. Mn, Zn, Mg, K, Cu straights - or combinations according to need, also with B and Fe. All in all we have more than 700 formulas ready for production, and constantly make new variations. 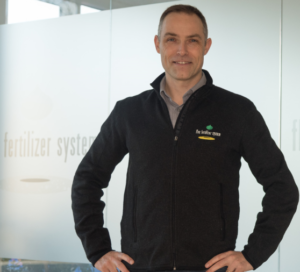 So do not hesitate to contact us to learn more about the fertiliser your plants need!